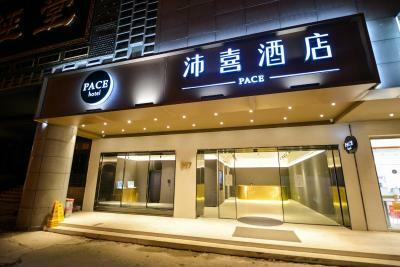 Lock in a great price for PACE HOTEL Suzhou Renmin Branch – rated 9.2 by recent guests! We loved the convenience of location, the decor, helpful staff... really a great experience. All of the staff I interacted with were super kind and hospitable. The design of the hotel was sleek and clean, and I definitely felt safe there while I was solo traveling through Suzhou. It’s very close to bus stations and a metro line, which was very convenient. It was within a short walking distance to Panmen Scenic Spot which is a great place to check out while you’re there! The bed was super comfortable and the room was really cozy in general. They also provided free breakfast that was delicious and an awesome way to start out my day. It’s in a great location, and I would suggest to anyone to stay here. The staff is the real flagship of the Pace hotel. From the front desk to the cleaning staff every one does his best to make you feel welcome. We were given breakfast coupons for free and at the front desk they were ready to help with every request. A 5 star service! The location is excellent, it is located just a very steps away from the Nan Men metro station. The room was cosy and clean. The staff were friendly and helpful. The location is great. A short distance to subway and public bus stations. Room is clean and breakfast is fresh and good. Staff are very nice and helpful. Location: a bit far from the train station but reachable if taking mtr. Take mtr from train station and get off at Nan Men stop take exit 1 then hotel is just around the area. Hotel room is simple and spacious. We booked 2 room without breakfast but during check in the staff were really nice to offer us free breakfast during our stay. Breakfast was pretty simple but since it’s free so no complain. Staff were really nice and friendly during our stay. They were the main reason that we like the hotel very much. The hotel was clean and quiet new, the stuff did everything in there power for us to has a nice stay. Amazingly comfortable bed. Super friendly staff. And nice location close to the train station. Best beds in China, good breakfast and good coffee machine. Room was comfortable and clean without any odor. Services were excellent—everyone there is always ready and willing to help with a smile. Thank you. 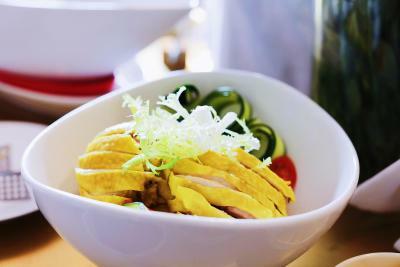 One of our top picks in Suzhou – and a guest favorite. 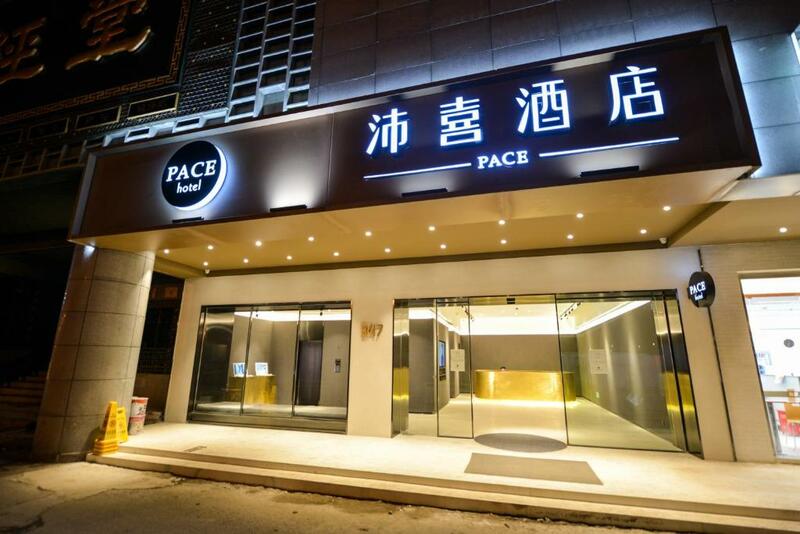 Conveniently located in the Gu Su District district of Suzhou, Pace Hotel is located about 15 minutes' car ride from The Lingering Garden and a 20-minute drive from Tiger Hill. Free WiFi is featured throughout the property. Master of the Nets Garden is an 8-minute drive from the property, while Hanshan Temple can be reached in 20 minutes by car. Sunan Shuofang International Airport is approximately an hour's car journey away. At the hotel, all rooms have a desk. With a private bathroom, rooms at Pace Hotel also boast free WiFi, while selected rooms also boast a city view. The rooms will provide guests with a fridge. For guests' convenience, Pace Hotel has a business center. Staff at the 24-hour front desk can provide tips on the area. The restaurant serves Asian and Chinese dishes. 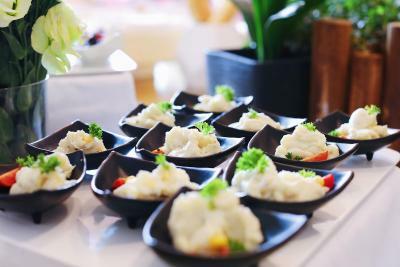 Guests at the accommodations can enjoy a buffet breakfast. When would you like to stay at PACE HOTEL Suzhou Renmin Branch? This double room has a tumble dryer, flat-screen TV and electric kettle. This twin room has a electric kettle, cable TV and soundproofing. This triple room features a soundproofing, electric kettle and air conditioning. This family room has a electric kettle, soundproofing and air conditioning. House Rules PACE HOTEL Suzhou Renmin Branch takes special requests – add in the next step! PACE HOTEL Suzhou Renmin Branch accepts these cards and reserves the right to temporarily hold an amount prior to arrival. Our view wasn’t great (all old apartments and laundry), but not a big deal! The staff were excellent, and able to accommodate an early check in. We were also able to leave our bags behind the counter after we checked out, as our train wasn’t until later in the evening. We were also given a voucher for a free breakfast, which was so nice! Breakfast was pretty simple, with a mix of western and Chinese options. The hotel is located in a great district, surrounded by a massive fancy mall, and close to the subway/metro. Floors could use a deep scrubbing, but they were basically clean. Very near to train station, and one of the attractions in Suzhou. Unlimited self-servicing of coffee & hot water in cafeteria. I was sometimes able to hear people walking by the room or a train going by, so the rooms are by no means soundproof. They provided earplugs though and it wasn’t noisy to the point of being obnoxious or intrusive. That was the only downside though! Everything else was great! Wifi in room was poor. It should be improved. The short height English speaking girl (in black overcoat ) at the reception who accompanied us to the room and took personal care of all our needs was very helpful. We did not ask her name but we wish her all the best. Also, all other staff were very good mannered and co-operative and our needs were attended to promptly. The boy who guided us for the city tour also gave us plenty of time to make us understand (despite our language constraints) where and how to go. I wish all the best to him too. A bit out of the way from the main sight. Wonderful hotel located near the metro and some major shopping malls. Room was large with a big, comfortable pillow tp mattress and bright, clean high end sheets and pillows. Extreamly quiet, had a wonderful nights sleep. Spotlessly clean! Lots of lighting option from bright to mood/relaxing. Free slipper, lots of hot water. Staff did their best with limited English. Outstanding value. Highly recomended! Poor English level but they make their best to be clear and we never had a communication problem anyway. Staffs very kind & well tourism information prepared for tourist. Very flexible service to customers. Service from front desk, very welcoming! Check in very efficiently! Help us to organize the return train tickets back to Shanghai, was peak season, advance booking with mobile phone can be very difficult for foreigners. Appreciated a lot! Most of time I stay in Japan, get used to perfect service quality, never really satisfied with other services, but service we received in this hotel has been above my expectations! Included breakfast was lot, Chinese and Western style both with greater varieties! Whole building is cleaning, room is clean with thick bath towels, bedlines are good quality cotton, this is important for a good relaxing sleep! Will back to this city again! Definitely will stay here! Receptionists are very kind and helpful. Also the housekeeping. Very good hotel services: free laundry, free coffee. Breakfast is delicious. Room is clean and very modern. Good location: Metro station 4 Nanmen is just around the corner. You can walk to the city center in about 30 minutes. We highly recommend this hotel in Suzhou. Sometimes the smell of cigarettes smoke seeped thru the door. Our room has no smoking sign on the door but there' s an ashtray available. The hotel probably cannot really stop any guest and just tries to prevent fire hazards. : ( The bathroom floor may not look sparkling clean due to the white tiles getting old. Small place with commendable hospitality and the friendly service from front office, dining room, to housekeeping.... Nice decor. We love the breakfast. Plenty..variety.. Tea and coffee always available. Love the washer and dryer with laundry detergent on second floor. Love the Nanmen subway station nearby. Great location. Family Mart next door. Food court in the next building.